SAN FRANCISCO–(BUSINESS WIRE)–U.S. Bank has named veteran banker Mahesh Kharkar as its Northern California market president. In this role, Kharkar will lead the market in company-wide efforts and activities and direct commercial banking in Northern California. Kharkar has more than 30 years of experience in corporate and commercial banking and international trade and has worked extensively with middle market clients. 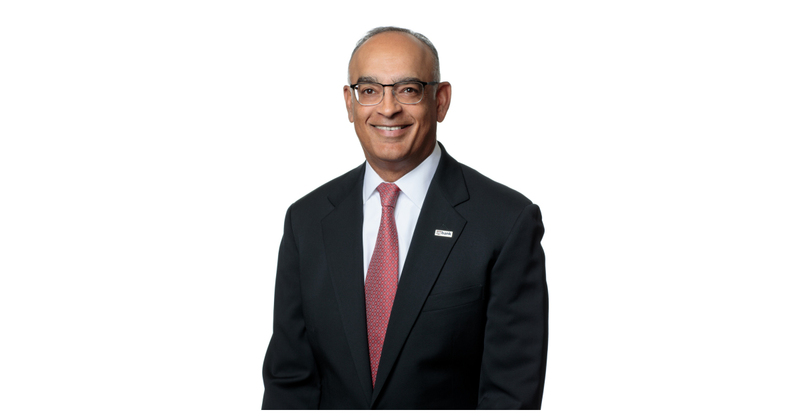 He has spent the majority of his career in banking in the San Francisco Bay Area, and before joining U.S. Bank, Kharkar was senior vice president and market manager for the Healthcare and Institutions group at Bank of America Merrill Lynch. He also served as senior vice president and regional manager, Healthcare Financial Services at Wells Fargo, based in California. In an earlier role, he led a national sales team for Wells Fargo HSBC Trade Bank. Over the years, Kharkar has acquired significant credit expertise and previously managed a multi-billion dollar credit portfolio that encompassed C & I, commercial real estate and international trade credit commitments. Kharkar earned his Bachelor of Arts degree in Political Economy from the University of California, Berkeley, and is Series 7, 24 and 63 registered. He is dedicated to the community and focused on youth empowerment through sports. He has served as board commissioner for Mill Valley Little League and coached youth sports leagues in Marin County. He resides in the Bay Area with his family. U.S. Bank employs more than 7,200 people in California and has 635 branches and 695 ATMs in the state. During the past three years, U.S. Bank made $32.5 million in foundation grants and corporate contributions to nonprofit partners throughout California.